Trevallyn Power Station was built 1955, and replaced Duck Reach. There's background information (and maps) on the Hydro's web site. 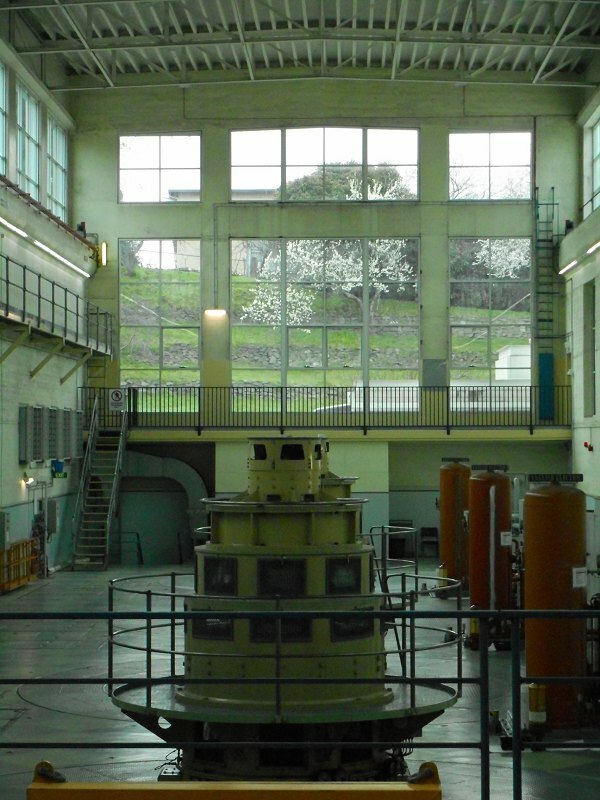 It's managed by Hydro Tasmania A few years back, the state-owned HEC was broken up into 3 companies: the Hydro, who generate the power; Transend, who transmit it, and Aurora, who deal with the consumer side. Trevallyn Lake & is on the South Esk river, just up from the gorge. I have some idea of going up to the dam one day to take photos, but the bus doesn't run particularly close. The water comes down a combination of tunnel & pipe to the power station, where it's divided into four streams. At which point, we reach the limit of my knowledge on hydro power generation :) This picture on the Hydro site helps though.